In a study released today, scientists from the University of Pennsylvania School of Veterinary Medicine (UPSVM), explain how the Jagged-1 protein induces mesenchymal stem cells into becoming osteoblasts (bone forming cells). 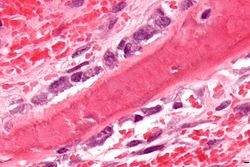 The study has implications in the field of bone regeneration and in the development of new treatments for a rare genetic disease called Alagille syndrome. Osteoblasts are somatic cells derived from mesenchymal stem cells found in the bone marrow. 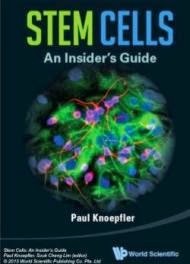 Previous published studies have clearly shown that a protein called BMP (bone morphogenic protein), signal these stem cells to differentiate into osteoblasts. Anecdotal evidence from small human studies suggests that BMP can be used in the recovery of patients presenting with severe bone fractures and for performing spinal fusions without using autologous bone tissue. "In the field we're always searching for new ways for progenitor cells to become osteoblasts so we became interested in the Notch signaling pathway." he says. It's a well established fact that the Notch signaling pathway plays a crucial role in stem cell differentiation. In previous studies conducted on mice, UPSVM researchers had found out that the Jagged-1 protein, one of the proteins that bind to the Notch receptor, is highly expressed by osteoblasts during the healing progress followed by a bone fracture. This is why they decided to examine its effects on the Notch signaling pathway. During the experiments, they found out that simply introducing the protein to MSCs was more than enough to induce them into becoming osteoblasts. These findings are consistent with other studies on patients with a rare condition called Alagille syndrome. One of the many Allagile syndrome symptoms, is having fragile bones. Hankenson is now working in collaboration with other UPSVM researchers, studying pediatric Alagille syndrome patients with the aim to identify whether their bone abnormalities are connected to Jagged-1 malfunctions or not. He is also the co-founder of a company called Skelegen, which is focused on Jagged-1 research and its potential for spurring new bone growth for treating fractures and other skeletal problems.